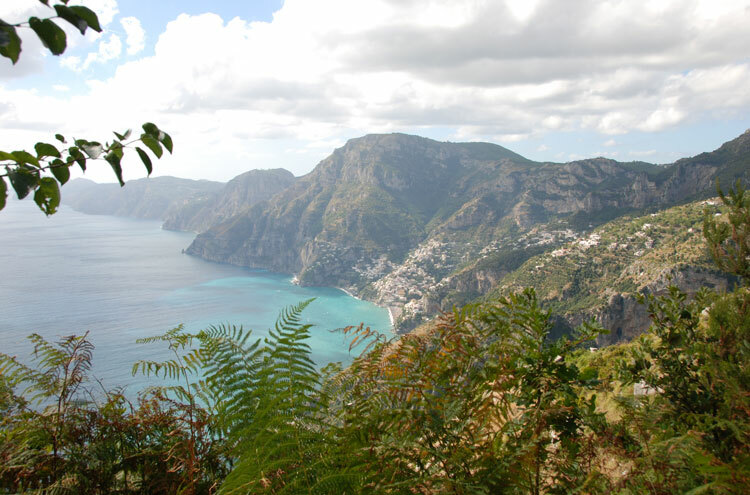 High but (once you are there) relatively gentle path that hugs the cliffy wilderness of the World Heritage Site Amalfi coast and commands astonishing views of both Mediterranean and mountains. Eerie, silent mule track scattered with isolated farms and ruined crows-nest buildings is as impressive for its evidence of human ingenuity as it is for its natural beauty. Though the walking itself is moderate (with a total rise of 460ft), the path can be narrow and hang dizzily over perpendicular drops: not for those prone to vertigo. This is the Amalfi Coast's most famous walk. The Amalfi Coast has long been inhabited, but only became accessible by road when the famous Nastro Azzuro was begun in 1815. Until then, even the wealthy city of Amalfi was only reachable by sea, and the towns, farms and villages strung along this shockingly beautiful coastline of limestone cliffs were only joined by a series of interminable rock-hewn staircases leading to mule tracks across the upper reaches of the mountains. The Sentiero degli Dei was one of these, and its name (which translates as Path of the Gods) is really not hyperbolic. In an area that would certainly have heard, and quickly received news of, the destructive power of Vesuvius, and in an area isolated from the hardest reach of Rome, it would be easy to believe that the upper reaches of the local mountain ranges, and their breathtaking views, would be the province of a bunch of not-necessarily-benign deities. The Sentiero degli Dei is the most celebrated footpath of an area riddled with footpaths, and justly so: its huge, plunging views of the Mediterranean, and the settlements huddled along its almost-vertical shoreline as far as the island of Capri are almost beyond compare. Now that buses run to the villages at either end and the knee-straining flog up and down the staircases to reach it is no longer necessary, this can be a reasonably easy trek (with a 460ft rise along its four-hour length), and rewarding pretty much every step of the way. As rewarding as the natural features of this outstanding landscape is one's simple astonishment at human ingenuity and perseverance, not only in carving this path, often from bare cliff-faces, but in creating the farmhouses, hermitages and terraces that cling like eagles' nests to the dizzy heights. NOTE: while well-maintained, sections of this path are both narrow and little more than ledges carved into cliffs. Anyone of a nervous disposition would be well-advised to go as far as they feel comfortable with, and no further.